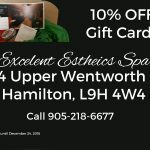 Now with 2 locations to serve you, Kimmie and the staff at Excellent Esthetics Spa invite you to visit our Spa facility at 844 Upper Wentworth opposite Lime Ridge Mall in Hamilton (just a short ride on the Mohawk bus east for Mohawk College Students). Here you will experience the ultimate in spa pampering and expert treatment in a warm and inviting setting. Excellent Esthetics was established in 2005 and had its start in the Westdale region of Hamilton near McMaster University. Students and residents alike have enjoyed the relaxing and soothing spa treatments that were provided. Customers come back time and time again to see our hostess Kimmie. With a new and larger location on the Hamilton mountain, we are more than ready to provide that perfect experience. The history of Excellent Esthetics is the story of Kimmie. 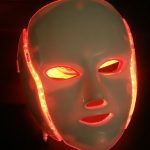 As a top flight esthetician in her own right, she is one of the best estheticians in Hamilton Ontario when it comes to waxing, manicures, pedicures, hair removal and skin treatment including the treatment of acne scars, acne scar removal and blackheads. 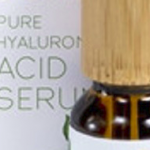 She set up her first spa in 2005 after many years in the business……. A spa treatment is beneficial in a number of ways. It can set you up for an important event or function. It can take care of you in ways that you cannot accomplish yourself, or at the very least, it can do so better. It can also provide a special and luxurious experience for you and your family or friends. In this regard, Kimmie delivers. Let her professionalism, years of experience and attention to detail make your spa treatment stand out. Whether it’s for that special event or just to pamper yourself because, let’s face it, you’re worth it, Excellent Esthetics Spa is a “must stop” on your journey. Call Kimmie today to set up your special appointment. At Excellent Esthetics Spa, you can get everything from your eyelashes all the way to your toes pampered. Whether it is for a wedding, birthday or home coming, we will ensure you look your finest for all your important events. We also offer many privileges and discount programs for returning clients. More than ever, Excellent Esthetics is the place to go for skin spa services and waxing in Hamilton. Book your appointments now and experience the “talk of the town”.